Sixty-five years ago, a French colonial administrator made a decision on maritime borders between Cambodia and Cochin-China, as the southern part of Vietnam was then called. Jules Brevie hoped his decision would resolve, once and for all, a long dispute. Meant to clarify which islands in the Gulf of Thailand fell under the jurisdiction of either Cambodia or Cochin-China, Jules Brevie’s administrative notice of Jan 31, 1939, has been at the heart of all maritime border quarrels between Cambodia and Vietnam ever since. Every political regime in Cambodia has raised the issue, which still triggers heated debates and often puts the two countries at odds with each other. In the 1960s, then-Prince Norodom Sihanouk requested an international conference to settle the matter once and for all, and to protect Cambodia’s territory through peaceful means. The only agreements on maritime borders between Cambodia and Vietnam were signed in July 1982. 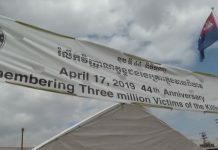 They were part of a series of pacts that were based on the Treaty of Peace, Friendship and Cooperation signed on Feb 18, 1979Ñshortly after Vietnam had ousted the Khmer Rouge regime, taken over the country and installed a Hanoi-friendly government. Valid for 25 years, terms of the agreement indicate that the 1979 treaty will be automatically renewed for periods of 10 years, unless revoked the year before renewal by either country, said Var Kim Hong, chairman of Cambodia’s Border Committees. As far as he knows, no measure has been taken to annul the agreement, and it should get renewed on Wednesday, he said. But the renewal will not be accompanied by a new agreement on maritime borders. In this area, negotiations continue, Var Kim Hong said. The debate, which the Sam Rainsy Party and Funcinpec rekindled during the national election campaign of 2003, has made strange allies. The figure of 95,000 square km, often-quoted as the waters over which Cambodia should have jurisdiction, was given legal status during the Lon Nol regime, Jennar said. The administration, which had ousted then-Prince Sihanouk in 1970, issued a decree in 1972 setting the size of the country’s continental shelf and claiming Cambodia’s rights over it. The territory covered a third of the waters claimed by Thailand, and three-quarters of the zone claimed by Vietnam, said Jennar. The lure of possible oil and gas contracts in the gulf prompted Cambodia and its neighbors to act without consulting each other, he said. Cambodia and Vietnam’s claims overlapped by 60,000 square km. 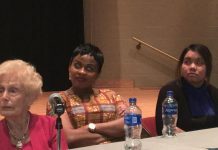 Four years later, the Khmer Rouge adopted King Sihanouk’s position during their preliminary talks with the Vietnamese, and picked the Brevie line to define the maritime borders, said Jennar. But the Pol Pot regime soon put an end to the May 1976 meeting, and progressively turned to arms against Vietnam, he said. Brevie was governor general of IndochinaÑwhich included Cambodia, Laos and the Vietnamese territoriesÑwhen he issued his notice in 1939. He was attempting to end disagreements that had started in the 19th century. In the late 1870s, Cochin-China Governor Le Myre de Villiers led a group of French businessmen who replaced navy officers in the Cochin-China government, wrote Alain Forest in his 1980 book, “Cambodia and the French Colonization.” Not only did they want land for plantations and good fishing grounds, but they also envisioned Cambodia’s annexation, he said. Unlike Cambodia, which was an independent country with a king and government that had requested France’s protection, Cochin-China was a French colony. Expanding Cochin-China’s territory was an ambition of France. 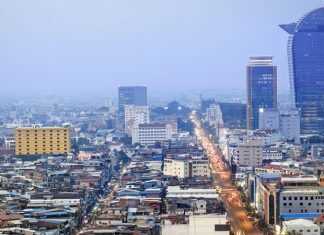 Huynh de Verneville, the French administrator assigned to Cambodia, tried to limit Cochin-China’s expansion project, but with limited success, said Forest. Still, Cambodia, which was caught between its two expansionist neighbors in the 19th century, extended its territory during the French Protectorate. Using the border on land as his starting point, Brevie traced a straight line into the Gulf of Thailand, indicating that the waters and islands north of the line would be administered by Cambodia, and islands and waters south of it by Cochin-China. However, because Phu Quoc had been under Cochin-China’s administration since the 1860s, he left it to Vietnam, making the line pass 3 km north of the island. Brevie noted that the islands close to the Cambodian coast were geographically linked to Cambodia, and therefore should fall under its jurisdiction. Brevie set his line for the purpose of dividing administrative and police duties among the two jurisdictionsÑhe never intended his line to be considered the maritime border, he wrote. However, this paragraph of Brevie’s letter, printed in Sarin Chhak’s book, does not appear in the letter at the National Archives in Phnom Penh. The original document on file consists of a cover letter with Brevie’s signature, which is attached to his letter on the dividing line; the documents are numbered 867 and 868, written in the same hand, obviously numbered one after the other. Except for this discrepancy over the paragraph most frequently quoted to illustrate the intent and legal value of Brevie’s line, the rest of the document is identical to the letter reproduced in Sarin Chhak’s book. In any case, the French administrators of Indochina could not know Cambodia, Laos and Vietnam would gain their independence, and that their administrative land and sea dividing lines would become international boundaries. In 1957, Cambodia became the first country in the Gulf of Thailand to define its territorial waters at a time when international laws on the subject were just developing, said Jennar. The decree of Dec 30 set the width of the country’s territorial waters at five nautical miles, or 9.26 km; and its contiguous waters at 7 nautical miles, or 13 km. These were modest and reasonable claims, said Jennar. Cambodia maintained its “historical rights” over Phu Quoc. In 1960, Cambodia was the first country in the Gulf to sign the 1958 Geneva Convention on the Territorial Sea and Contiguous Zone. The National Assembly approved it in 1963, but it wasn’t enacted until 1968. In 1969, Cambodia extended its territorial waters to 12 nautical miles, or 22.2 km, which is in accordance with international laws. The decree of 1982 redefined the country’s baseline from which territorial waters are measured. Instead of being close to the shore as it was in 1957, the baseline links Cambodia’s distant islands from the Thai border to Poulo Wai. The document recognized for the first time that Poulo Wai belongs to Cambodia. It set the country’s Economic Exclusive Zone and its continental shelf, which are nearly identical, at the customary 200 nautical miles, or 370 km. In addition, a 1982 agreement maintains all international rights to territorial waters and the continental shelf and establishes “historic waters” on each side of the Brevie line, a zone over which both Cambodia and Vietnam were to have jurisdiction, and in which people from both countries would be allowed to fish. During the first meetings of the Cambodian-Vietnamese joint border commission, Vietnam rejected the Brevie line as a maritime border, while Cambodia insisted on keeping it, said Alain Gascuel, who has closely followed the work of the commission. 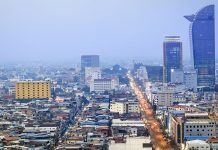 Before the start of the negotiations, Cambodia filed a complaint with the UN against Vietnam and Thailand; in 1997, their governments signed an agreement defining their continental shelves and economic zones in the Gulf of Thailand—without consulting Cambodia. Incidents like this one have convinced Lao Mong Hay, the head of the Legal Unit at the Center for Social Development, that Cambodia should submit its case to an international court or organization whose decision would be binding, he said. He also believes that, unless Cambodia is in a position to manage and control its territorial waters, having jurisdiction over portions of the Gulf of Thailand will not mean very much. Cambodia should invest in rebuilding its navy, and in training people to run offshore oil and gas operations, and other maritime departments, Lao Mong Hay suggested.